Leading Manufacturer of closed cup pad printing machine from Mumbai. With the valuable assistance of skilled team of professionals, we are offering an extensive range of Closed Cup Pad Printing Machine. The offered cup machine is manufactured using utmost quality raw material and innovative technology by our adept professionals. In addition to this, provided cup machine is tested on various quality parameters to ensure its quality. 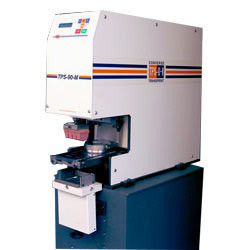 Our provided cup machine is available in various sizes and specifications. Looking for Closed Cup Pad Printing Machine ?